There must be many reasons why South African wine has found its sense of place, individuality and ever-improving quality; one, rarely discussed, but which deserves a closer look, is that of winemakers fulfilling this role with a producer but also making wines under their own label. It’s nothing new; Beyers Truter was possibly the first in 1989, when he started Beyerskloof while still winemaker at Kanonkop. The forward-thinking Krige brothers, owners of Kanonkop, encouraged and supported Truter; he, in turn, mentored Abrie Beeslaar, who took over from him and now, in turn, has his own label, Beeslaar Wines; a pinotage, of course. Another visionary, Fairview’s Charles Back, has done the same for both his winemakers, Anthony de Jager, who had Homtini Shiraz and more recently, Stephanie Wiid, a partner in Thistle and Weed. Today, the number of similar relationships is growing. Three winemakers who work with other winemakers and have their own labels, relate their wine background, relationship with the winemaker they work with and their views on a relationship I see as symbiotic. Jacques de Klerk, now a partner in The Winery of Good Hope with Alex Dale and others, and the man behind Reverie Chenin Blanc, found wine after dropping out of a law degree at Stellenbosch University; first via working at a big co-op, followed by a trip to Europe to discover real wine culture and enrolling at Elsenburg on his return. He met Alex Dale through Adam Mason when both he and Mason were at Klein Constantia. The Winery of Good Hope was looking for a winemaker and the rest is history. Several factors attracted de Klerk to work with Dale: seeking out special vineyards to produce terroir-driven, site specific wines; the opportunity to work with internationally-experienced people like him and Edouard Labeye and, not least, the chance to drink stunning international wines from their budding import business. 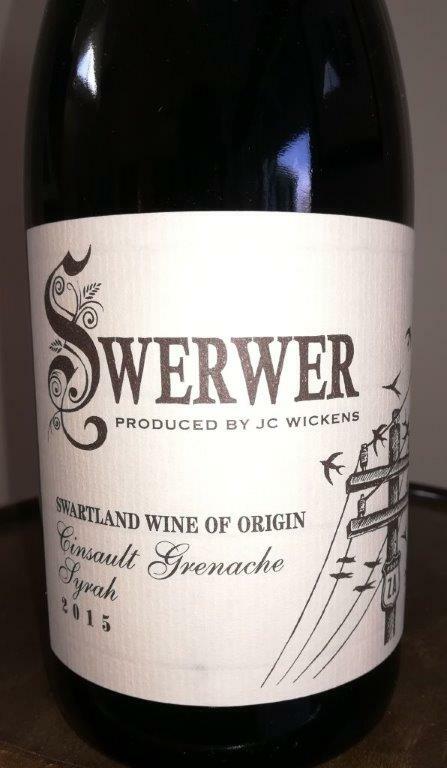 The experience of exposure to so many regions, varieties and styles proved an inspiration and enabled de Klerk to form his own ideas for something uniquely South African; thanks to The Winery’s Black Rock Swartland blend, he found the ideal area to source fruit. It was a project supported by Dale from the start; ‘In fact he suggested it to me over a bottle or two,’ de Klerk acknowledges . 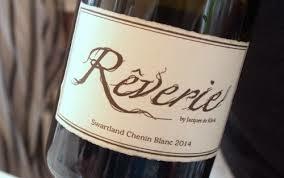 ‘He convinced the other Winery shareholders that it would be mutually beneficial.’ The early years of Reverie Chenin Blanc taught de Klerk a lot; ‘I had to prove that my ideas worked.’ The Winery’s Radford Dale range has benefitted from incorporation of many of those ideas and techniques de Klerk trialed. In turn, Radford Dale’s established brand lends credibility to his Reverie. Franco Lourens is the newest Young Gun on the block; his recently-launched Lourens Family Wines range includes two chenins described by his ‘boss’, Chris Alheit as; ‘a brilliant example of the effect of origin on wine – both extremely good and yet completely different.’ Not a bad endorsement from one at the top of his game. Paarl born and raised, Lourens recalls the inspiration to learn the art of winemaking started as he cycled past vineyards to school and saw tractors pulling loads of grapes through town, their sticky juice spilling over the road. Studies at CPUT in Wellington and Elsenburg were followed by a spell at Schalk Burger & Sons and harvests at Tokara, Jordan, Vasse Felix in Margaret River and Ramey Wines in California; back home, he worked as assistant winemaker to David Finlayson at Edgebaston before joining the Alheits in 2016. ‘We have the same winemaking philosophy; it gives me the opportunity to work with some of the best old South African vineyards, which I’m passionate about but more than that Chris and Suzaan are the kindest and most generous people I know.’ It seems the perfect match. The couple have inspired Lourens in many ways, ‘To make wines true to myself, as naturally as possible and not to follow trends,’ Lourens discloses. It’s obvious this arrangement in these three cases works to the benefit of both parties but is this something that could work more generally? All three believe it can be beneficial with provisos. Making your own wines can help others you work with see things from a different angle, give new ideas. It also reflects well on the mentor winemaker if his charge is making waves and is successful. But they warn, it depends on the relationship and unique situation of winemaker and employer; both parties need to be honest from day one and have a clear plan for the future and remember the day job is a first priority. Swerver, Reverie and the new Lourens Family Wines are right up there in quality – the former two have scored Platter 5* ratings; Lourens are submitting for the first time this year, so watch this space – and Badenhorst, The Winery of Good Hope and Alheit are regarded among the country’s best producers, also with several Platter 5* to their names. 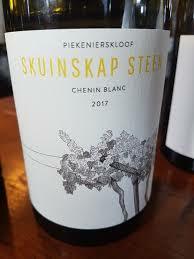 More important, the reputation and combined success of both parties in the market place is testament to an encouraging inclusive attitude, directed at promoting South African wine rather than competing with one’s neighbour. Indeed, a symbiotic relationship. Alex Dale, Founder & partner in the company now known as Radford Dale (formerly The Winery of Good Hope) wrote the following in response to my article; I quote it here with his permission. ‘From an employer’s point of view (as I was when Jacques started Reverie and before he joined the Shareholders as a partner), my thinking was to avoid a situation where Jacques would feel eternally frustrated by not being able to express himself as a winemaker, as a craftsman, and potentially to risk his moving-on to another Winery or to go solo. Had Jacques been a simple employee, I would not have allowed him to get involved in making his own wine. But seeing him as a long-term talent, who we wanted to preserve in pour team and indeed to become part of the ownership, I felt that giving him the scope to have his own wine would alleviate any potential frustration or sense of limitation he might have -and give him cause to release his creative spirit, while appreciating his career options with us. The framework we put in place ensured that Jacques can have this artistic freedom, while not developing a conflict of interest, commercially. That was the proviso from our side and I believe that we both entered into our agreement understanding each other’s point of view. Fascinating article Angela. Thank you. Thank you, Remington; so pleased you found it interesting. Peter F May on Aged or mature? outofthepress on Aged or mature? Hennie Taljaard on Aged or mature?